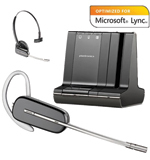 Plantronics W740-M, Microsoft Office Communicator 2007/Lync 2010 compatible wireless headset system. 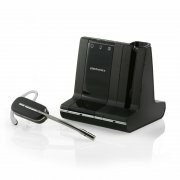 Plantronis Savi wireless headset system that connects to multiple devices but allows you to manage all calls from a single headset. 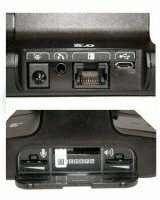 This system unifies communication between your PC, desk phone and now mobile phone calls. Users can also listen to any PC-based audio including music players, streaming audio and video, webinars and podcasts with the Plantronics W740-M. The headset system features a noise-canceling microphone, wideband audio support, and DECT wireless technology, providing lifelike voice fidelity and the ability to roam up to 350 feet from the base. 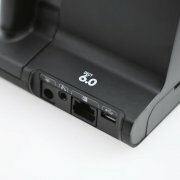 * Headset controls lets you answer/end/mute calls from any connected device up to 350ft away. * Conference call with up to 3 additional headset users. Or audio can be mixed between any two phones to instantly bring people together.